Ocean Infinity stood to make up to $70 million if the plane was found. Teams have already searched a 120,000 square kilometre area. A PRIVATE HUNT for flight MH370 will end in the coming days, a search firm has said, about four years after the plane’s disappearance sparked one of the world’s greatest aviation mysteries. No sign of the plane was found in a 120,000-square kilometre sea search zone and the Australian-led hunt, the largest in aviation history, was suspended in January last year. 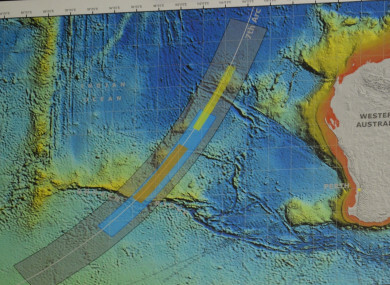 After pressure from families, the former Malaysian government struck a deal with US exploration firm Ocean Infinity to restart the search in January on the condition it would only be paid if the Boeing 777 or its black boxes were found. The firm stood to make up to $70 million if successful but did not find any sign of the airliner despite scouring the seabed with some of the world’s most high-tech search equipment. It scoured the waters for wreckage using eight autonomous drones equipped with sonars and cameras, and able to operate at depths up to 6,000 metres. The jet’s disappearance stands as one of the most enduring aviation mysteries of all time and has spawned a host of theories, with some blaming a hijacking or even a terror plot. Email “Mystery unsolved: Private search for Malaysia Airlines flight MH370 is called off”. Feedback on “Mystery unsolved: Private search for Malaysia Airlines flight MH370 is called off”.